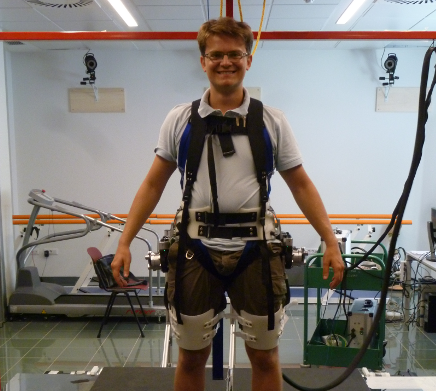 The ATND Lab provides a closer interaction between rehabilitation engineers and physicians to study neurobehavioral changes in people with neuromotor disorders, and to develop new clinical approaches and technologies for motor rehabilitation. Current research activities and tools include: Analysis of movement (kinematics, kinetics) to assess post-stroke motor impairment and post-rehabilitative modifications; Advanced analysis of neurophysiologic modifications following stroke (electroencephalography, electromyography, transcranial magnetic stimulation); Robot-based upper- and lower-limb post-stroke rehabilitation (MOTORE, Lokomat). Spalletti C, Lai S, Mainardi M, Panarese A, Ghionzoli A, Alia C, Gianfranceschi L, Chisari C, Micera S, Caleo M., A robotic system for quantitative assessment and poststroke training of forelimb retraction in mice. Neurorehabil Neural Repair. 2014 Feb;28(2):188-96. doi: 10.1177/1545968313506520. Chisari C, Bertolucci F, Monaco V, Venturi M, Simonella C, Micera S, Rossi B., Robot-assisted gait training improves motor performances and modifies Motor Unit firing in poststroke patients. Eur J Phys Rehabil Med. 2015 Feb;51(1):59-69. Coscia M, Monaco V, Martelloni C, Rossi B, Chisari C, Micera S., Muscle synergies and spinal maps are sensitive to the asymmetry induced by a unilateral stroke. J Neuroeng Rehabil. 2015 Apr 18;12:39. doi: 10.1186/s12984-015-0031-7. Artoni F, Menicucci D, Delorme A, Makeig S, Micera S., RELICA: a method for estimating the reliability of independent components. Neuroimage. 2014 Dec;103:391-400. doi: 10.1016/j.neuroimage.2014.09.010.